ATS Happy Trails is a prelaunch project developed by ATS Group. Offers more amenities to ensure your comfortable lifestyle. 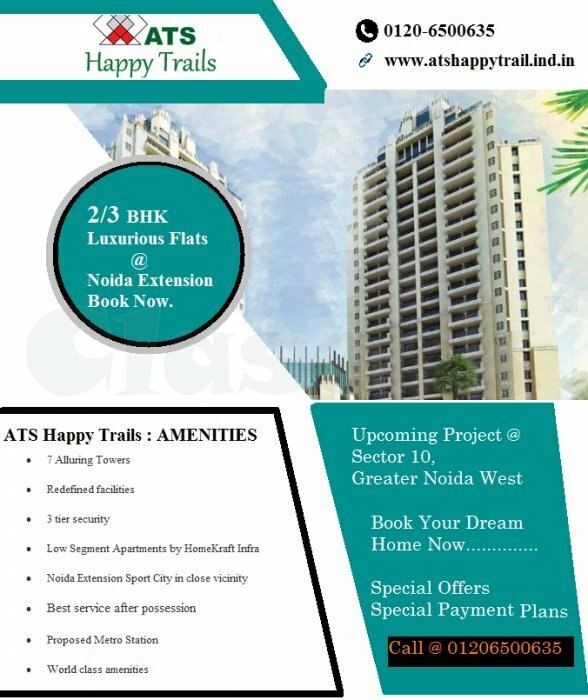 ATS Happy Trails provides exclusive club, garden, multi-purpose field, high-speed elevators, indoor games, jogging track, health club, party lawn and much more at Sector 10, Noida Extension, Greater Noida West. 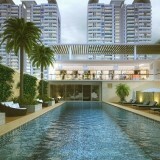 Also, apart from these amenities, it offers lush greens and state-of-art specifications and infrastructure. Noida Extension is the perfect location for everyone. ATS happy Trails Noida Extension brings lots of happiness with beautiful amenities and layout design. Book 2 BHK and 3 BHK Apartments in several sizes according to your choice.